Shoulder pain is one of the more common complaints that will bring patients into a chiropractor’s office. Many of these patients have already tried home remedies, physical therapy, and massage therapy or prescription pain killers without any relief of symptoms. More chiropractors are turning to cutting-edge technology, such as cold laser therapy, to provide relief for these patients. 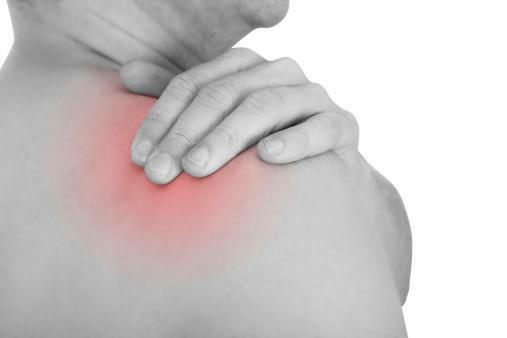 Shoulder pain can have many causes. It may be due to repetitive stress injuries, sports injuries, chronic conditions such as arthritis, or the basic signs of old age. If left untreated, shoulder pain may eventually affect arm and grip strength, as well as full range of motion for both the shoulder and the arm itself. It can even lead to more serious conditions such as tendonitis, frozen shoulder or rotator cuff injuries, all of which may require invasive surgery to correct. A cold laser uses specific non-thermal wavelengths within the light spectrum, hence its name. As opposed to hot medical lasers, which are used to create incisions, the cold medical laser promotes healing without having to heat or cut into the skin. When the cold laser is applied directly to the painful shoulder for anywhere from 30 seconds to a few minutes, the light photons penetrates the skin (dermis and epidermis) to a few centimeters. These photons then react with light-sensitive structures within the tissue cells, which set off a chain of cellular processes that will reduce inflammation and pain in order to promote healing. In many ways, this process is similar to the photosynthesis process that plants use to convert light to usable energy in order to grow. Patients will benefit by getting relief from their shoulder pain with minimal risks or side effects. Cold laser therapy is also non-invasive and may begin to relieve symptoms after only a few treatments. Overall, cold laser therapy can offer people all the benefits of relieving their shoulder pain, with none of the problems that may come from other treatments they have tried.